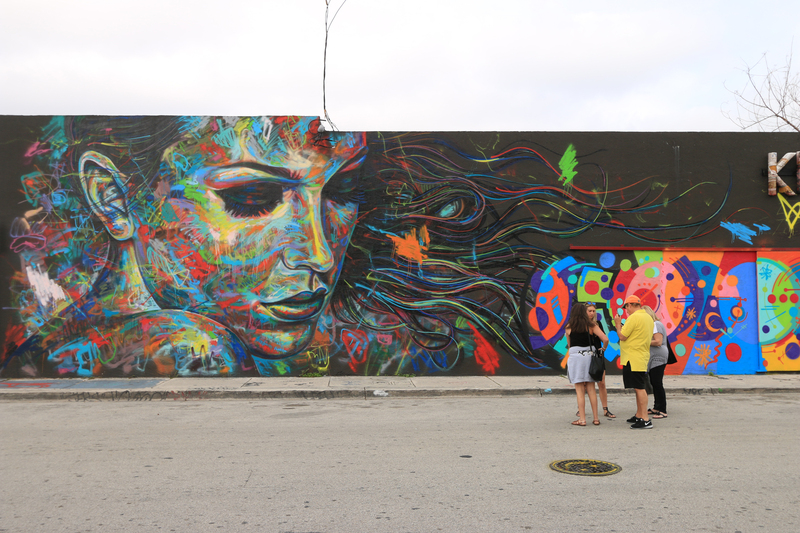 This is certainly one of Wynwood, Miami’s prettiest murals. It’s wild and deliberate at the same time, and iconic of the exuberance found on the streets near the art galleries. I couldn’t resist the moment when the group stalled above the manhole cover sprayed with a yellow smiley face. The tension among the subjects became more interesting than the mural alone. Additionally, the people offered a sense of scale. Superb street image Rachael. Thanks for posting this article, now I can wait to go to this place. You will love it all over there, Sammy. Bring many, many rolls of film, and a tripod. Fantastic image, moment and great idea in including the manhole and the people.